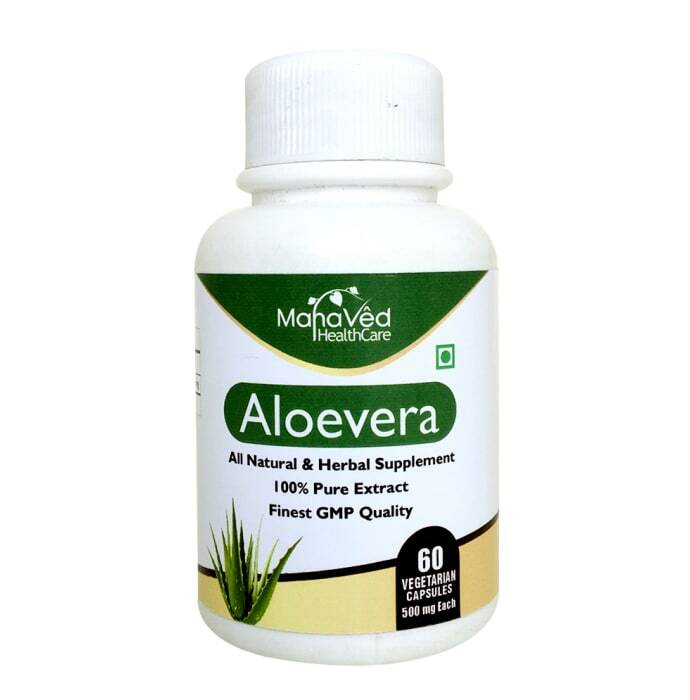 MahaVed Aloe Vera Vegetarian Capsule is a herbal remedy that helps in improving digestion. This capsule is composed of 100% pure extract of natural and herbal supplements. This supplement is a pure veg product and being purely herbal, it has no side effects.